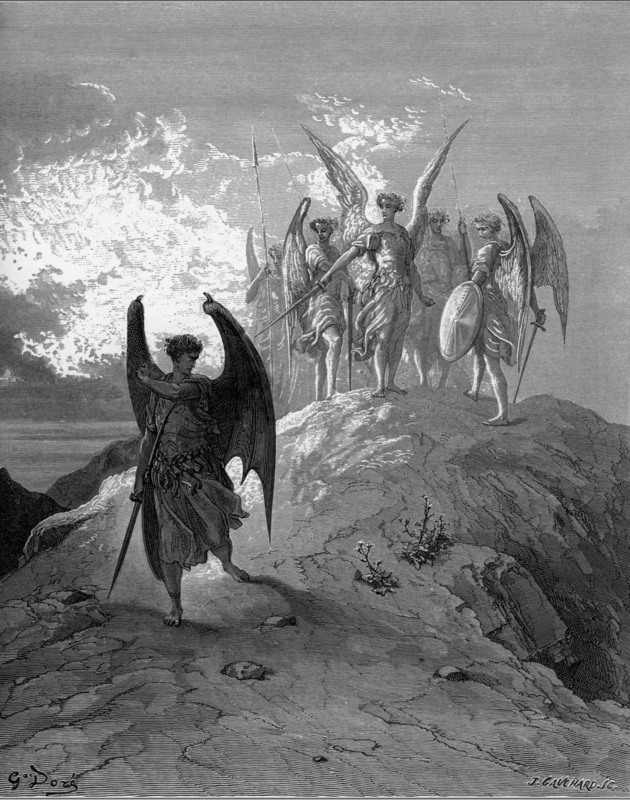 Well I just couldn't resist. 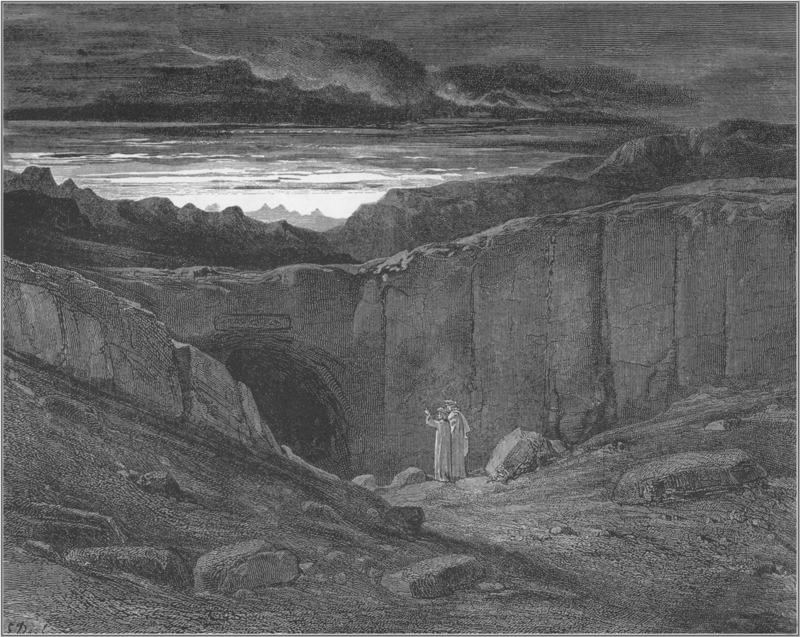 Phil Rushton's comment that Dore employed 40 engravers to work up his ideas into densely detailed printable artworks hints at just how successful Dore became as his work continued to expanded it's markets through the development of the electrotype which allowed reproduction from molds of his studio's engravings rather than the original engravings themselves. His work as a result became internationally recognized and the contract that he had with the UK publisher Cassell netted him £10,000 per year, a fortune for the latter half of the 19th century. 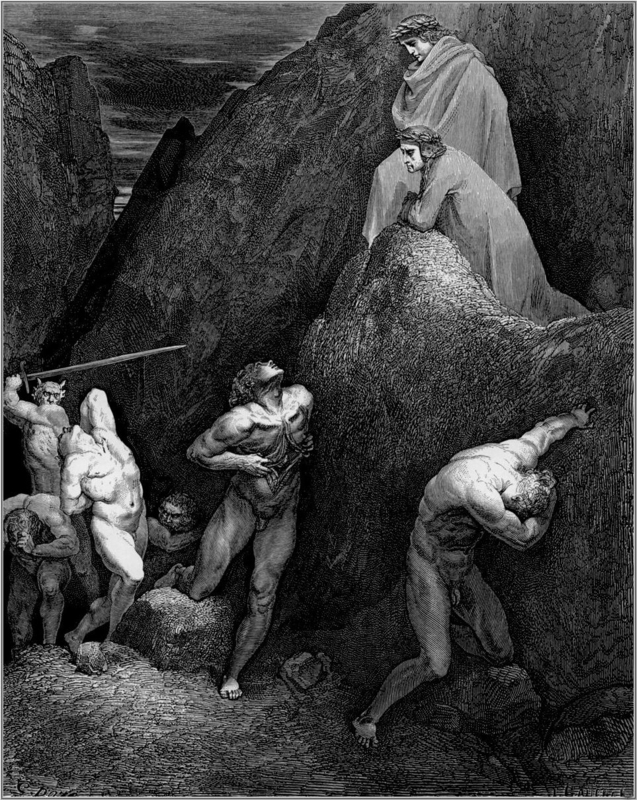 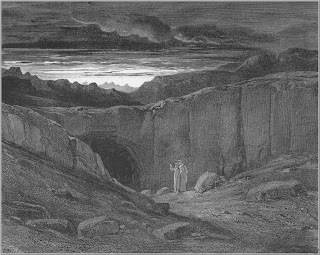 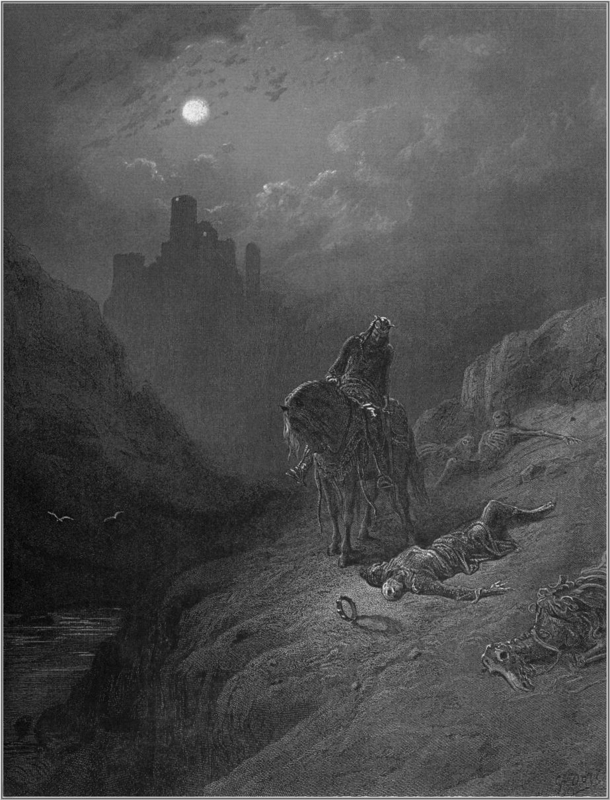 Here then are more examples of his amazing artistry from Dante's Inferno and the final image from Tennnyson's Idylls of the King, which although I listed amongst the samples included yesterday were in fact conspicuous by their absence. 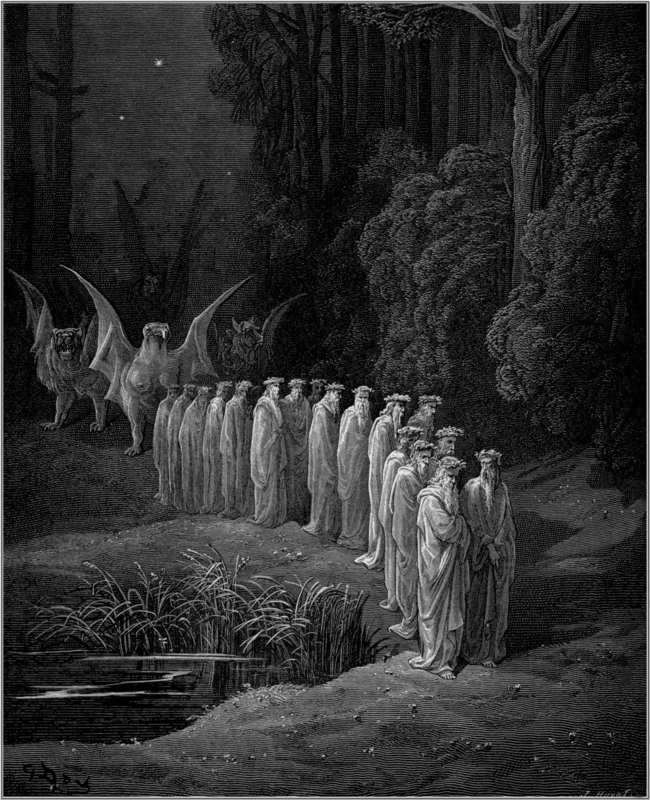 An oversight I need to make up for - hence the posting. 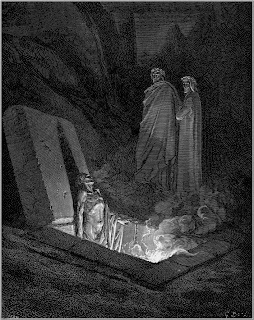 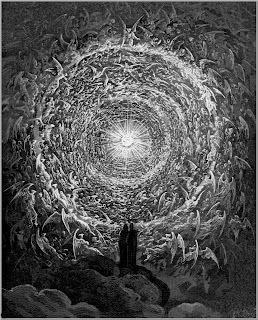 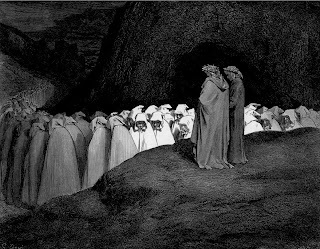 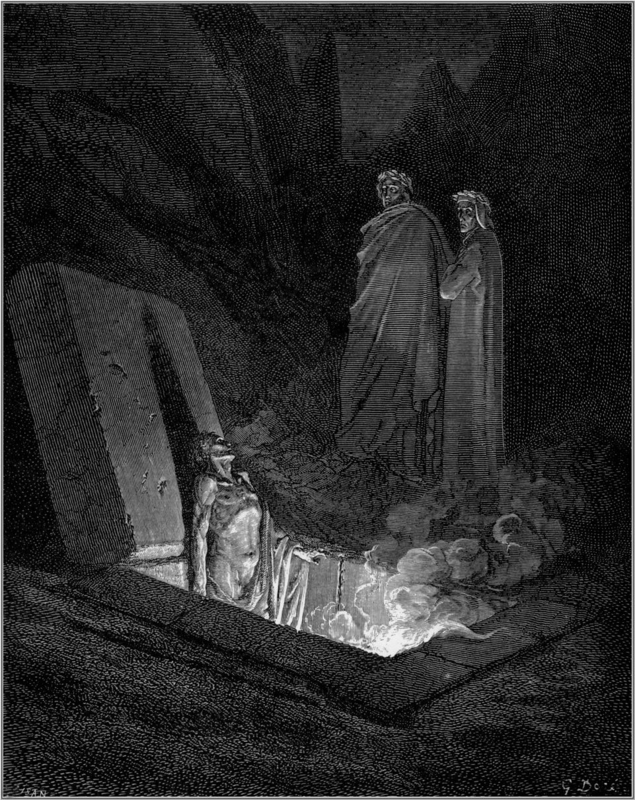 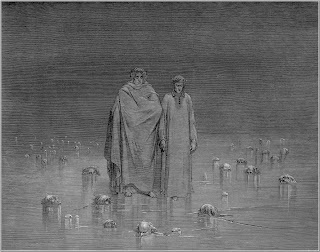 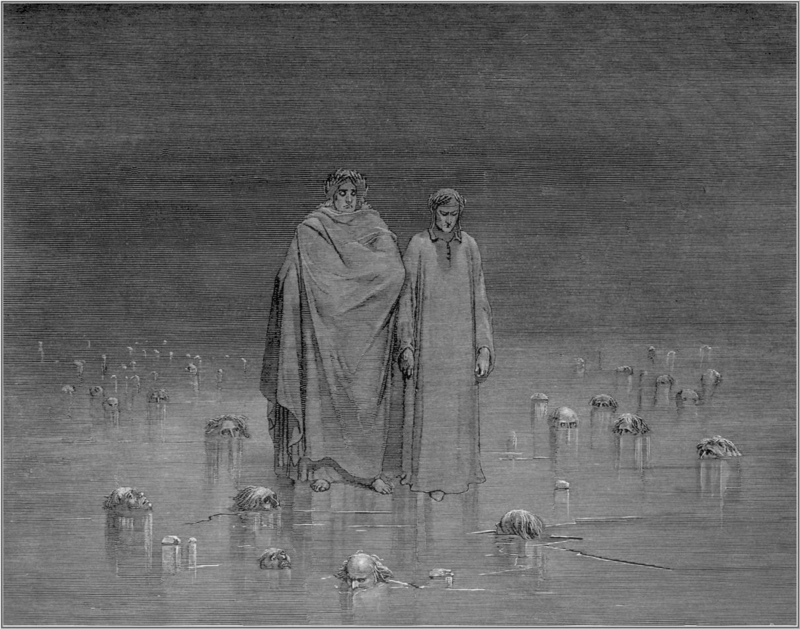 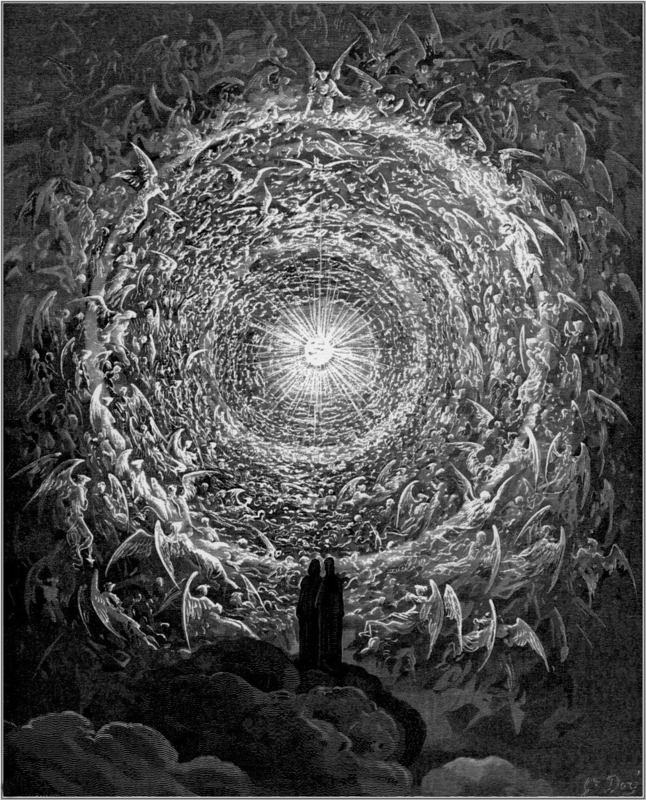 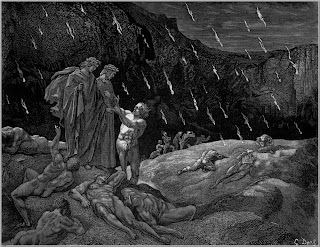 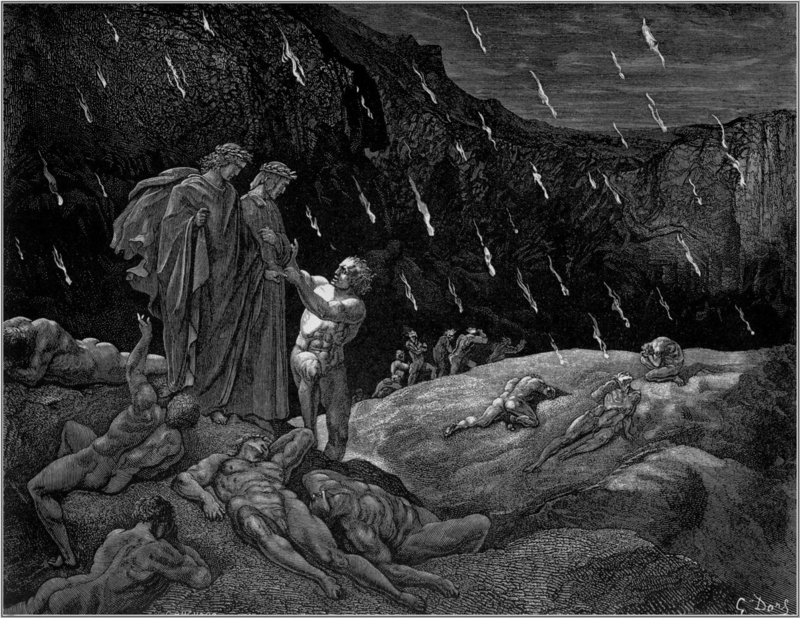 They say the Devil has the best tunes, and in spite of the fact that Doré went on to produce many thousands of illustrations I've always thought that his version of 'The Inferno' stood head and shoulders above everything else. 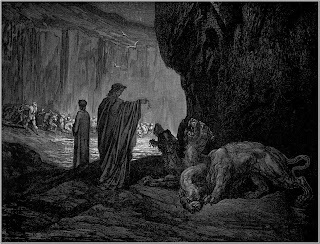 Also, while the skilled techniques evolved by generations of commercial engravers and etchers were largely superseded by less labour-intensive methods of mechanical reproduction during the twentieth century it's worth noting that a number of illustrators attempted to recapture their 'look' by other means. 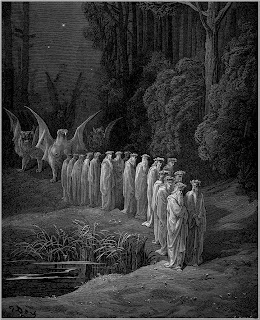 Foremost amongst these was the astonishing Franklin Booth who originally developed his technique while under the misapprehension that artists such as Doré achieved their effects with nothing more elaborate than pen and ink! In modern times the excellent Ian miller has used rapidograph pens to create an intricately 'etched' world filled with fantastic neo-medieval artifacts, while, in my opinion, the one-time 'Studio' member Berni Wrightson's illustrations for Mary Shelley's Frankenstein bear comparison with anything produced by Doré or during the 'Golden Age' of Booth, Pyle and Wyeth.